For many of us, this is the busiest time of the year and if you are trying to sell your home, you are now under extra pressure to complete all your holiday tasks and keep your home in showing condition. So it's understandable why you would be tempted to take your home off the market during the holidays or wait until January to market it. 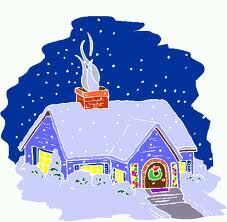 But most Realtors agree that keeping your home off the market during the Christmas season is a mistake. Although buyer activity may appear to slow down, the buyers who are actively looking during the holidays are usually serious buyers. Many people take time off from work during the season, so buyers have more time, and families can look at homes together. Gift buyers will be spending hours shopping on the internet and so will buyers looking for houses. Many buyers deliberately choose to shop for a home after the busy spring and summer rush. They know that it will be easier to look, and that negotiations will be less stressful. Relocating families often don't have a choice when they can leave for their new destination. If they need a home now, yours should be available for consideration. At Christmas time, our culture focuses on family and the home. Allowing buyers to view your home during this most hospitable of seasons lets them better picture their own family life in the attractive environment you have created. And when is your home ever more beautiful and inviting? Your house surely won't sell if it is off the market! There's a good chance that it will if you help your Realtor make your home available for the right buyer.